The United States Army Corps of Engineers (USACE) is responsible for maintaining the National Wetland Plant List (NWPL) and associated Wetland Regions & Rating Information. This tool is used to determine the degree to which a particular plant species will be found in a wetland environment. We use this tool to help you determine the proper plant species for your needs based on your wetland region and the composition of the site to be seeded. After identifying which wetland region your site is in, you can easily identify the wetland indicator for individual species by using the key provided at the bottom of this page. 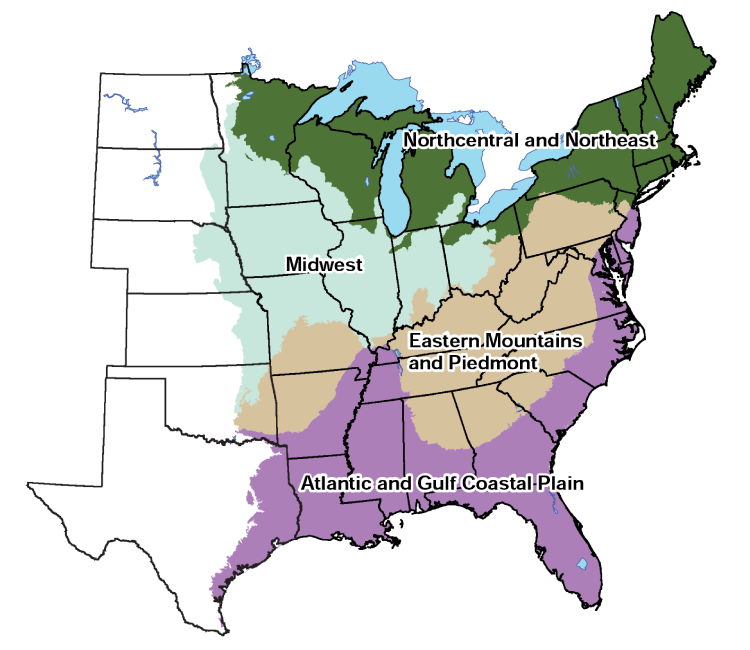 Though the USACE map includes the entire contiguous United States, Alaska, Hawaii and Cuba, the map used herein only includes the four regions generally east of the Mississippi River, as these represent the major market area of our seeds.